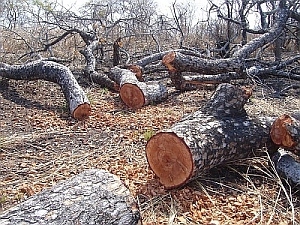 Protecting Ecosystems and Restoring Forests in Malawi (PERFORM), together with WAG and the Government extension staff identified hotspots and factors driving deforestation and forest degradation, then implemented measures for reduction of those. 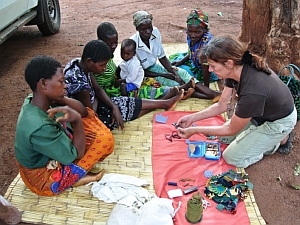 Creating income for vulnerable ladies living close to Thuma Forest Reserve by providing discarded local material and recovered snares from the forest and train the ladies to create craft products, which WAG then sell on their behalf. This helps improve the lives of the people surrounding the reserves. Relieving the need for people to hunt and cut trees - in partnership with 'The Tuesday Trust', an irrigation garden has been established. 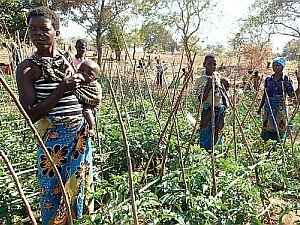 We support vulnerable ladies growing a variety of vegetables which in turn gives them a reliable income and food security for their families. The "Chituula Bee Club" comprises ten members (men and women) of the Kusawana Village very close to Dedza Salima Forest Reserve. Beekeeping training was given from WAG trustee, Tony Finch. WAG has provided the club with beehives. 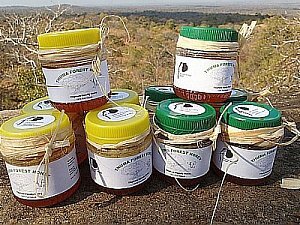 In July 2015, the first honey batch was harvested and market. 100% off all proceeds from the honey went back to the Chituula Bee Club.